YOUTH, Sport, Arts and Recreation Minister Kirsty Leigh Coventry has responded to media reports she had resigned as government Minister in protest against the government’s handling of protests that occurred across Zimbabwe on Monday. 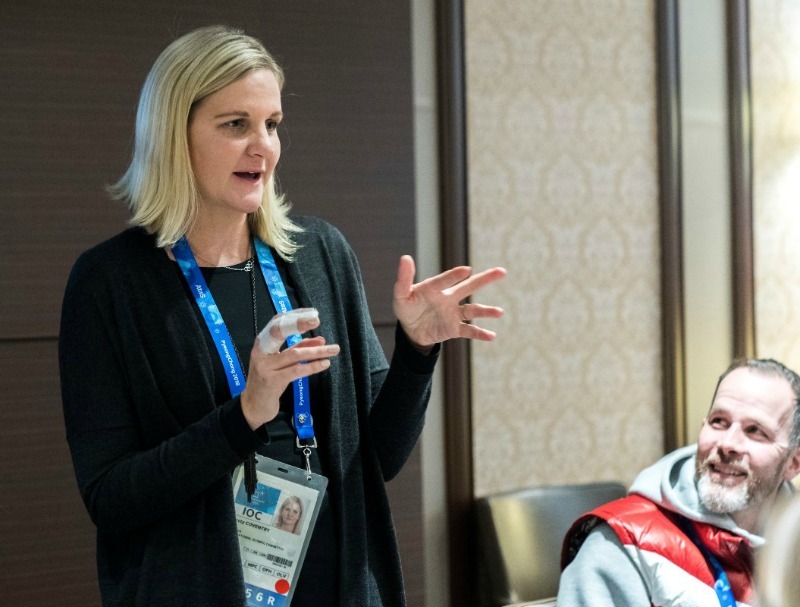 Coventry, who has travelled to Lausanne, Switzerland, for a meeting of the International Olympic Committee’s (IOC) meetings, was shocked by social media reports that she had resigned. “It’s fake news,” she said. Coventry chairs the IOC’s athletes’ commission. The IOC ethics commission is scheduled to meet later Friday in Lausanne, Switzerland. Coventry was appointed to Zimbabwe President Emmerson Mnangagwa’s cabinet as minister of youth, sports, art and recreation on Friday. Mnangagwa won elections in July after replacing longtime ruler Robert Mugabe last year when Mugabe stepped down. Affectionately known as Zimbabwe’s ‘National Treasure’ and ‘Golden Girl’, Kirsty continues to invest her time and experience in Africa. She is a member of the ANOCA Athlete’s Commission, Vice-President of the Zimbabwe Olympic Committee, provides coaching and swimming lessons at her non-profit organization, the Kirsty Coventry Academy, and has recently launched a program for low-income and underserved areas – HEROES: Empowering children through sport.